Mellow | The Electric Drive that fits under any Skateboard – Mellow Boards GmbH | Customizing Your Electric Skateboard Can Be This Easy! |Customizing Your Electric Skateboard Can Be This Easy! Welcome to our new short video series CAN YOUR E-SKATE DO THIS? This first one shows the simplicity of the Mellow Drive. You will never need more than a skate tool to work on your board, switch decks or drive wheels in minutes. 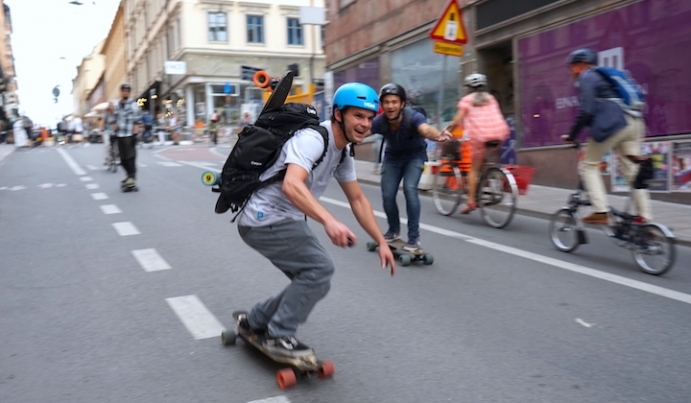 That's part of the most intuitive user experience you have with a Mellow Board. The CYESDT? videos will help understand the difference of Mellow and see that development and progress to the current e-skate standards was the goal. Over the past 3 years we have put our nerdy brains to the challenge of making the best electric skateboard you can buy answering your demands of making e-skating more simple, reliable, accessible, powerful but safe, flexible and air-travelled approved! Stay tuned for a new part every Wednesday for the next 6 weeks and hopefully this spring you will join the Mellow family too! For more product insights and the latest e-skate news make sure to stay in the loop via our Mellow News.